finally getting in on my friend Nell's meal planning link up. 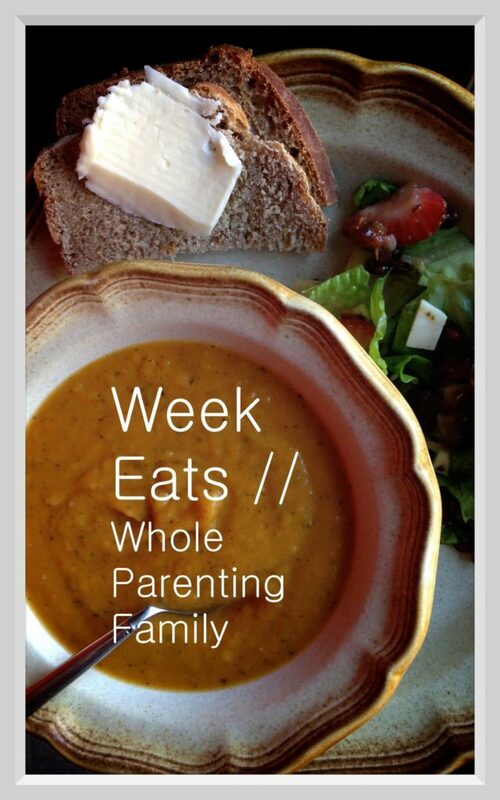 Head over to Whole Parenting to more inspiration for your meal planning this week! I love how a meal plan for the week can tell a story about your life. What you eat says a lot about who you are, what you value, how busy your schedule is, what you're family looks like. This is what our meals will be looking like this week, you can decide for yourself what they say about us. Sunday: Fettuccine Alfredo with Grilled Chicken Breast, asparagus and Caesar salad. My Aunt Lori just moved back to the Twin Cities after living out of state for several years. This a big deal because this is an aunt who lived with us until I was about 13. It's her birthday this weekend and for the first time ever I get to cook her a birthday dinner. And we are going with Italian. 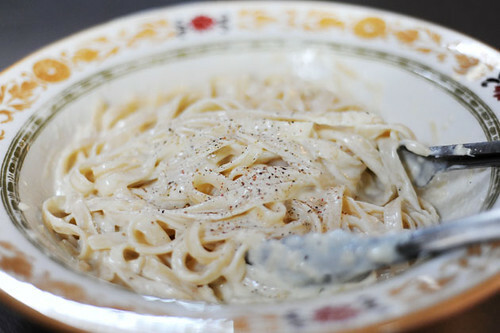 I've never made Alfredo before and it's about darn time I did because I love that dish. I will be using the Pioneer Woman's recipe. I'm salivating just thinking about it. Thursday: GAH! I have no idea what to make for Thursday. I don't usually meal plan so having things planned out this much is pretty good for me. We'll see how long the leftovers last. Maybe it will be egg sandwiches? Maybe I'll find a fun and EASY recipe from another person linking up with Nell? Either way, I'm sure we will eat something. Friday: Enchiladas for the feast of Our Lady of Guadalupe! This Friday is the Feast of Our Lady of Guadalupe! Patroness of the America's and the unborn. Yay! The mom's group at our parish is having a Mexican themed potluck in celebration Friday and I am bringing Enchiladas. I don't have a link or a picture for you because I'm using the recipe my friend Jacqui gave me. But she is the Mexican Domestic Goddess and I bet if you asked nicely she would share her secrets with you. Can you tell we do a lot of leftovers around here? My moto is "cook large and less often!" Head on over to Whole Parenting for more Week Eats!